The developers behind Titanfall are working on a Star Wars game. 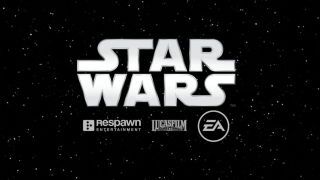 EA announced today (which just so happens to be May the 4th) that Respawn Entertainment is working with the publisher to create a "third-person action adventure game set in the Star Wars universe". Respawn's contribution to the galaxy far, far away is being led by God of War 3 creative director Stig Asmussen. Asmussen joined Respawn back in 2014 after leaving Sony's Santa Monica Studio earlier that year. It sounds like a separate team is working on Titanfall 2. "Fans should expect the exemplary level of quality first established at Respawn with Titanfall, a game that epitomizes our studio’s dedication to slick, larger-than-life action and fun, groundbreaking mechanics", Asmussen wrote on Respawn's official site. EA didn't announce a release date or any other details for the new Star Wars game. While Respawn is an independent studio, it joins internal EA developers like Visceral Games, DICE, Capital Games, BioWare, and Motive (the new studio founded by ex-Assassin's Creed producer Jade Raymond) in working on EA Star Wars projects.